A lot has changed since Windows 3.1 gained general popularity in 1991, both in terms of devices available to host an operating system and the bandwidth necessary to connect them. Sometimes Microsoft has blazed a trail, sometimes they have fallen behind, but Windows has always managed to more or less stay abreast of the world of computing. Tablets are a story of both greatness and woe. Windows XP was tablet-ready, but the hardware world wasn’t. We ended up with five-pound tablets that had a three-hour battery life and required a stylus. Apple and Google surged ahead as soon as the hardware was truly ready for the form factor. Microsoft has an ace in the hole, though. Windows is present on 250,000,000 devices worldwide, and some of them are even legally licensed. Windows runs the majority of businesses on the planet. It is everywhere. 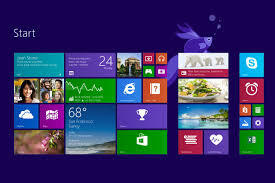 Windows 8 is not just a tablet operating system (OS). Microsoft has not chosen to make a separate OS for devices and phones like Apple has. They are upgrading the core OS to handle tablets natively. This means that the most popular OS on the planet, with the best developer tools on the planet, will soon work on tablets and have an app store like Google and Apple. That, in a word, is huge.